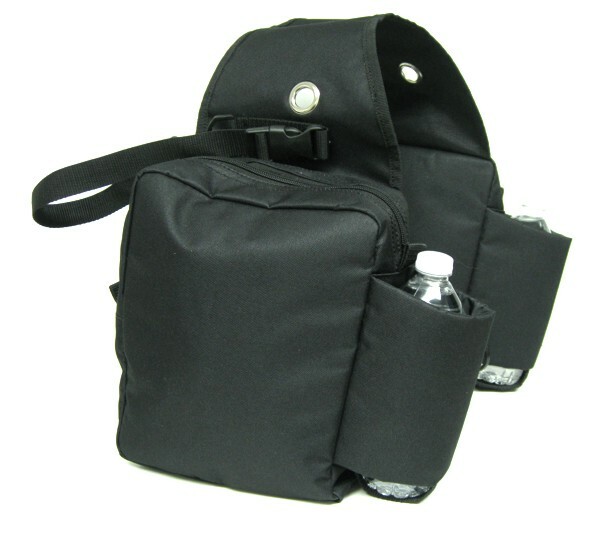 Black cordura saddle bags with two water bottle holders (bottles included). 8" x 10" x 3" insulated zippered pouch on each side. Adjustable straps on top for attaching your jacket. Grommets and dee rings for attaching to saddle. These smaller bags are perfect for those shorter rides when you don't need to pack a lot of stuff with you. Black only.